I've had some interesting conversations lately about activist fiction. Yes, I have to acknowledge that those who focus on categorizing fiction might assume Consequence is aimed at a narrow demographic, fiction primarily written 'for' people who self-identify as political activists. 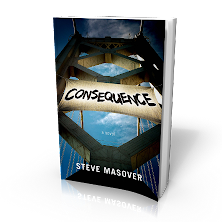 But that's not how I conceived the novel, and early reviews on Amazon and Goodreads suggest my intention will be realized: that readers with much broader interests will feel rewarded once they find their way into its pages. Given that the novel orbits a collective household of political activists, I think I ought to explain how and why I see a wider readership taking interest in it. The thing is, I believe a broad, messy, scrappy variety of all kinds of people are quite a lot 'like' activists ... even though most would never think to call themselves that. 'Activist fiction', the way I read it, is a category of stories about people who are willing to stick their necks out. Even if you're not that sort yourself, you probably know half a dozen people among family and friends who have stuck their neck out once or twice. Maybe you know people who stick their necks out regularly about some issue or problem or person they care about deeply. 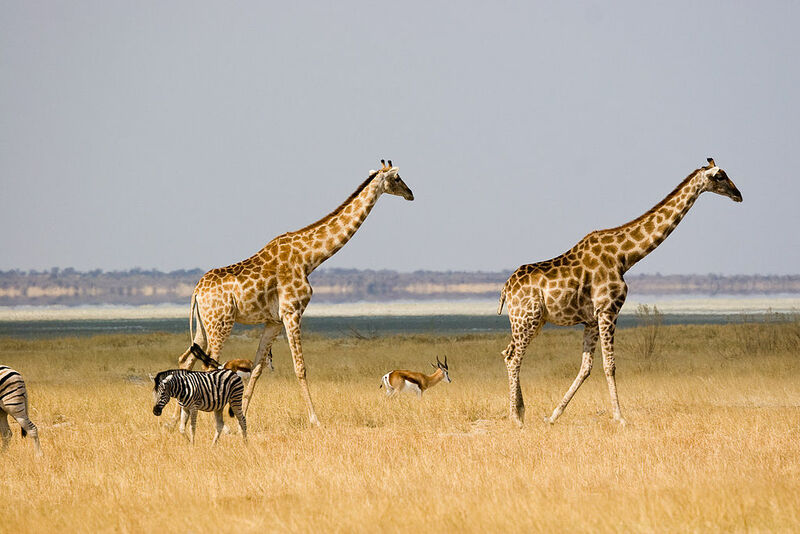 People who stick their necks out are legion, a ubiquitous part of our world. And when people stick their necks out, what they're up to is often pretty interesting. Captivating, even. Q: What would somebody who isn’t politically active get from Consequence? SM: Everybody decides how far to stick their neck out to confront the things they just can’t bear. Maybe you confront a school principal if your kid is getting bullied or shunned, or you go out of your way to buy something from a local business instead of on-line or from a national chain. Maybe you write a letter to the editor, or sign a petition, or support a political candidate who is trying to do something better than business as usual. Maybe you post an article or a meme about an issue you care about on Facebook or Tumblr or Twitter even if you expect it’ll rub some of the people you know the wrong way. Consequence is about people who are willing to stick their necks out regularly, around multiple issues, and to stick their necks out even further when hanging out in their comfort zone doesn’t get the results they’re after. I think most people can identify with that dilemma. Most of us go out on a limb about something we care about at some point in our lives, one way or another. I swim regularly at the YMCA in Berkeley, and over many years I've met quite a few people outside my usual circles. Gyms are good for that. 'Everybody works out' may overstate the case, but you find a wide range of personalities in a gym that has 15,000 members. "Look," he said, "everybody's an activist..." And then told me about a retired physician and member of the Berkeley Rotary Club who is in his mid-80s and remains passionate about eradicating polio. Bob, the physician, doesn't consider himself an activist, per se, Jon told me. People who know him don't think: oh, he's an anti-polio activist. People who know Bob see a doctor who has witnessed more than his share of suffering -- nature of the job, right? -- and is driven by empathy and compassion to do something to relieve a measure of that suffering. So Bob works actively and passionately to accomplish a goal he holds to be a critically important public good. Isn't that what activists do? My friend Jon is right: maybe not everybody is an activist, but to draw a border between "activism" and passionate, goal-oriented activity aimed at realizing a public good -- that's not a very helpful or informative distinction. I'd venture the characters in Consequence would agree. More or less everybody, sometime, sticks their neck out about something. 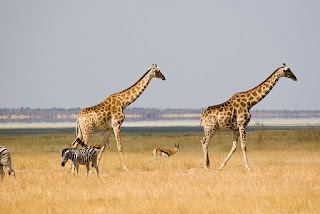 Thanks to Greg Willis for the image of giraffes, zebras, and springboks, via Wikimedia Commons.